Welcome to the second part of the MGLMix Podcast Launch! We’ve been looking forward to doing this for some time but didn’t want it to just be any old Podcast, we wanted to do something special. So it’s amazing that Maciej, Lead Game Designer on Dying Light joined us for an interview to make part of the below Podcast. On this second part of the show show we discuss Dying Light which we recently reviewed, some of the interesting points made in the interview plus looking into what we’d do if the Zombie Apocalypse happened for real and even look ahead to some games coming up like No Man’s Sky, Neverwinter and Until Dawn. If your new to My Games Lounge, Find out What We’re all About Here! Please excuse the odd sound error, recording though Skype has caused a few blips here which have been edited to the best of our skill (think a trained monkey holding a hammer upside down hitting a laptop and you’re about there) but these issues will get better going forward as we get improve. 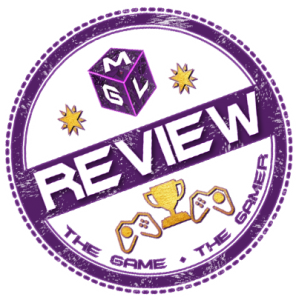 The Podcast will be on or around the 20th of every month, the best place to go for information is the MGL Mix Page which has all the upcoming information on Podcasts coming up and the MGLMix Videos too looking previewing and giving opinions on the latest games. Next Month, the March edition will be based on the EGX Rezzed Indie Game Expo in London where the team going to the even talk about the indie games on show. There will be more interviews too with game developers at the show sharing some details about their games with us so certainly one to check out! More big announcements coming soon so stay tuned.